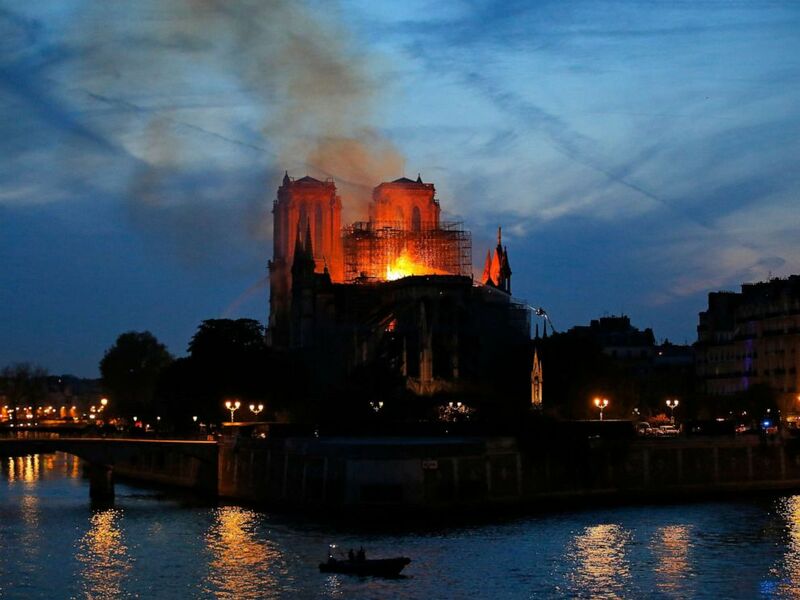 Even as officials continued to assess the damage and search for a cause in the massive fire that completely destroyed its roof of Notre Dame Cathedral, French President Emmanuel Macron said in a televised national address to his country Tuesday evening that he wants to see the 13th century basilica rebuilt within five years. 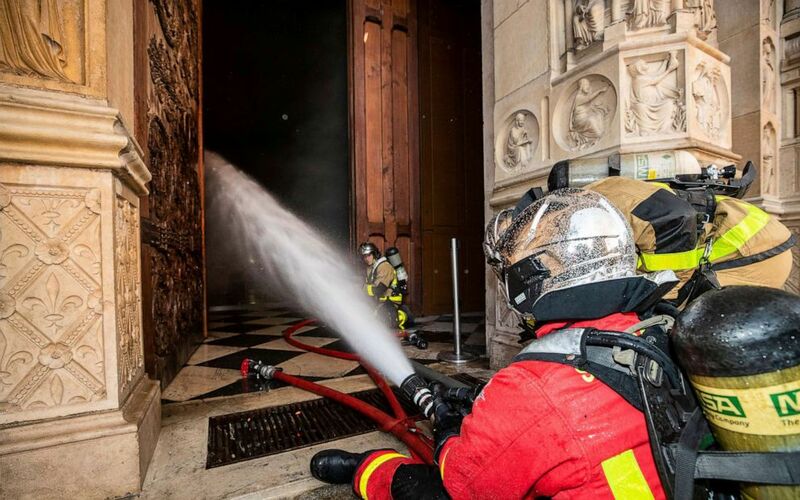 Fire fighters spray water inside Notre Dame cathedral, April 15, 2019. 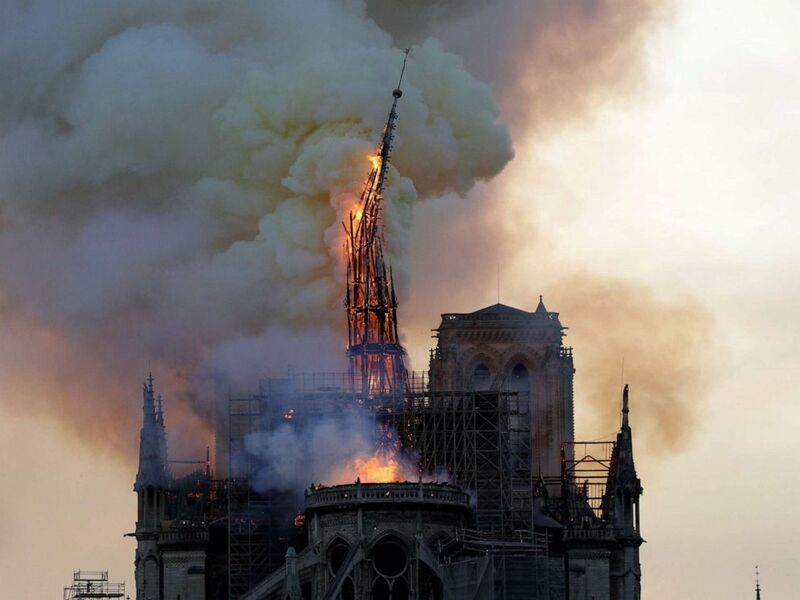 Tell them that the cathedral is still standing. 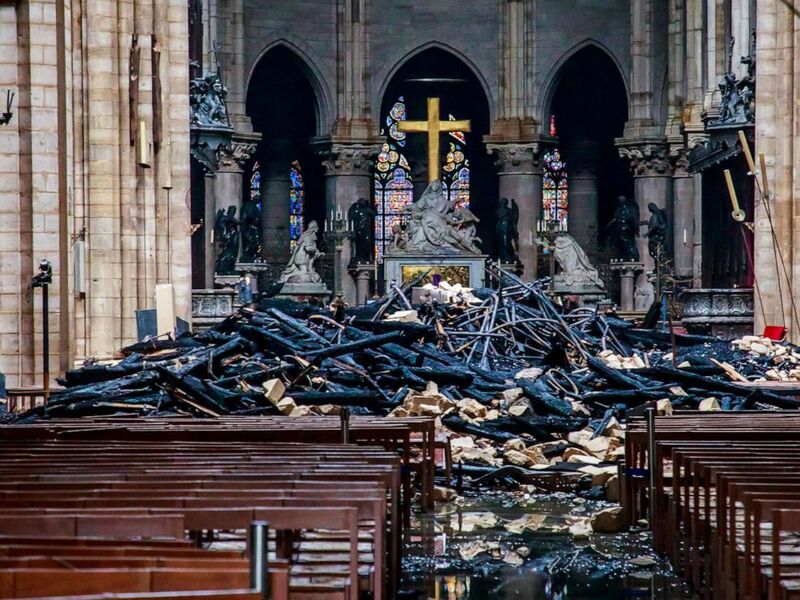 Charred debris inside Notre-Dame-de Paris in the aftermath of a fire that devastated the cathedral in Paris, April 16, 2019. 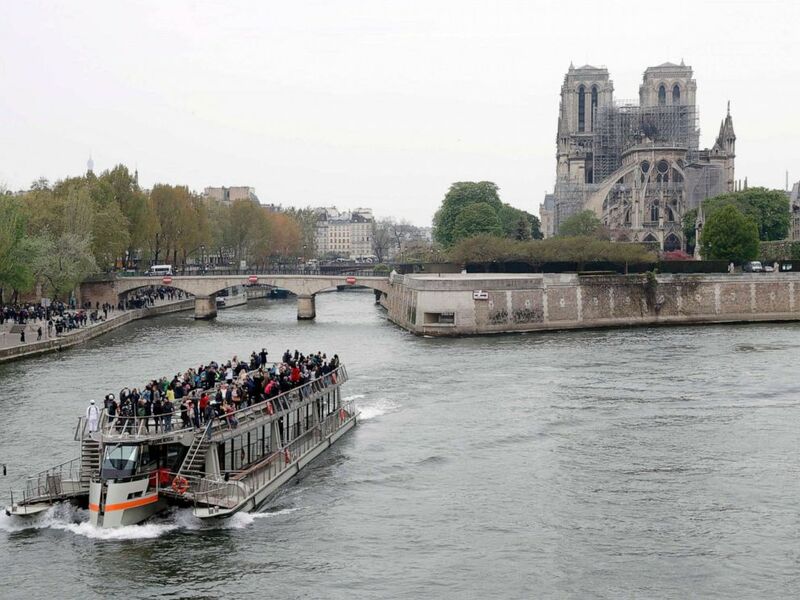 A tourist boat sails on the river Seine near Notre-Dame-de-Paris on April 16, 2019 in the aftermath of a fire that devastated the cathedral. French billionaire Bernard Arnault and his conglomerate LVMH pledged 200 million euros, according to The Associated Press, and François-Henri Pinault, another French billionaire, said he and his family would donate 100 million euros, according to BuzzFeed. 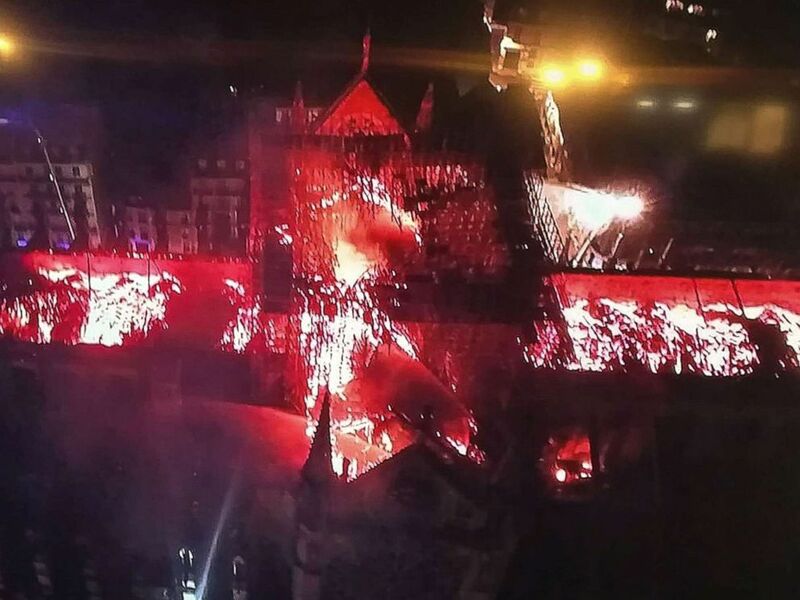 A firefighter stands in an aerial lift near the burnt roof after a massive fire destroyed the roof of the Notre-Dame Cathedral in Paris, April 16, 2019. 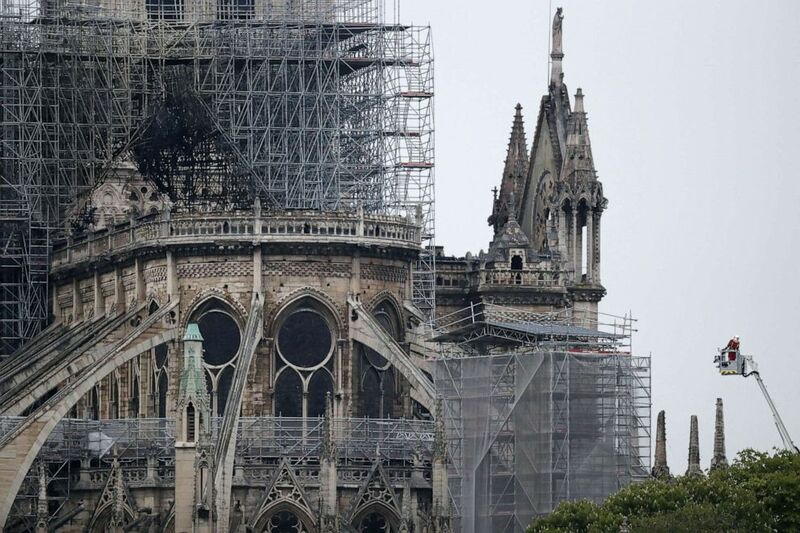 We will rebuild because it is what the French people expect, because it is what our history deserves. 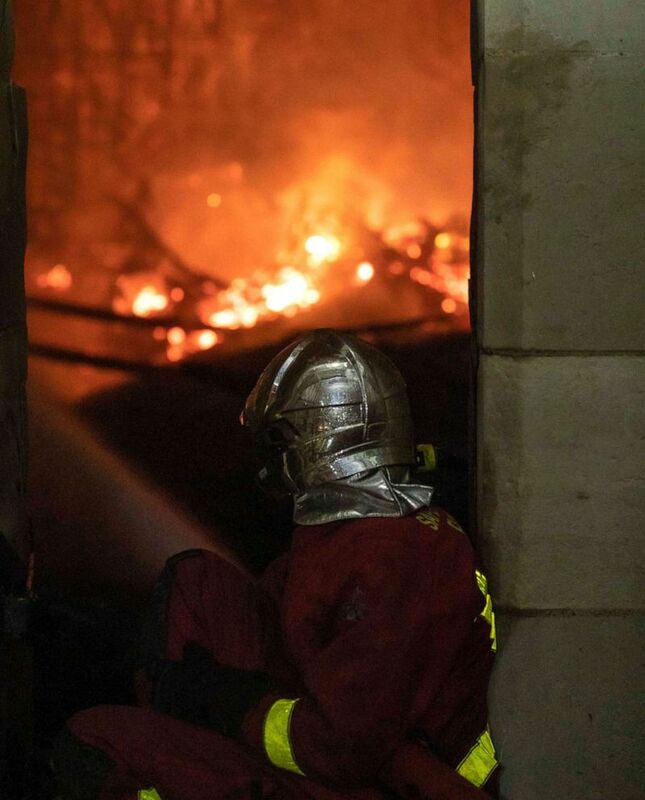 Firefighters tackle the blaze as flames rise from Notre Dame cathedral as it burns in Paris, April 15, 2019. 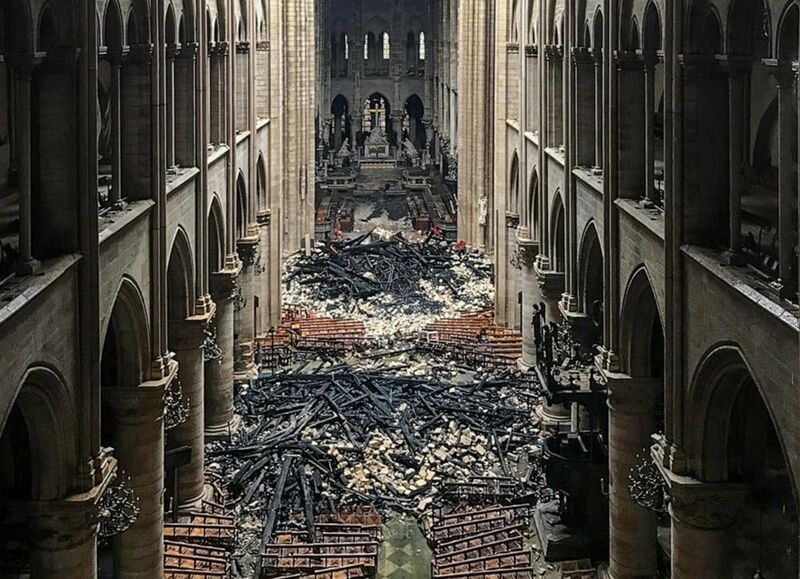 An interior view of the Notre-Dame Cathedral in Paris in the aftermath of a fire that devastated the cathedral, April 16, 2019. 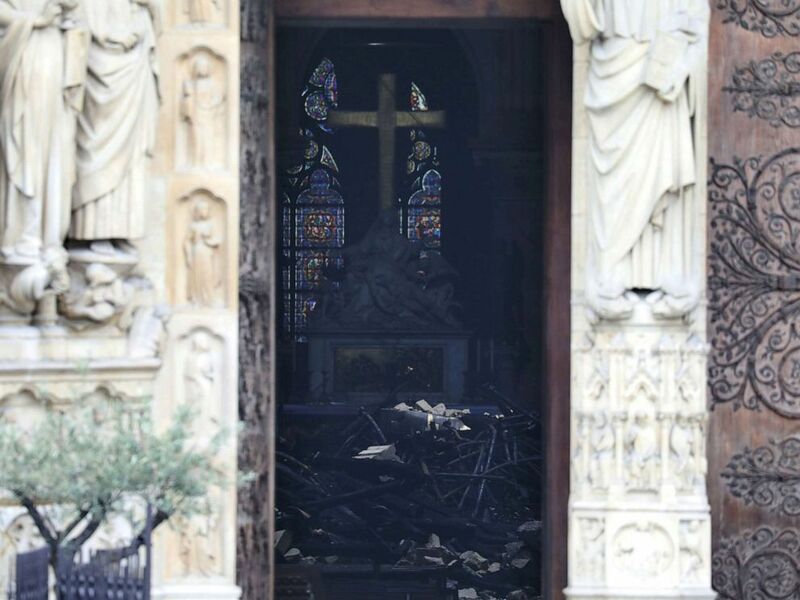 A view of the debris inside Notre-Dame de Paris in the aftermath of a fire that devastated the cathedral in Paris, April 16, 2019. ABC News' David Rind and David Wright contributed to this report.